Are you searching for wedding cake alternatives that are delicious and unique? Many brides find themselves in this position, but don’t want to go with the obvious – wedding cupcakes or the “naked” wedding cake. That’s why we’ve gathered up our favorite “not-so-wedding cake” ideas to share with you! Do you and your future husband appreciate a properly aged cheddar or a delicious and flavorful gouda? Then a cheese cake might be perfect for you! We love this idea, combined with plates on each table featuring gourmet crackers, olives, and smoked meats. Do you love donuts? 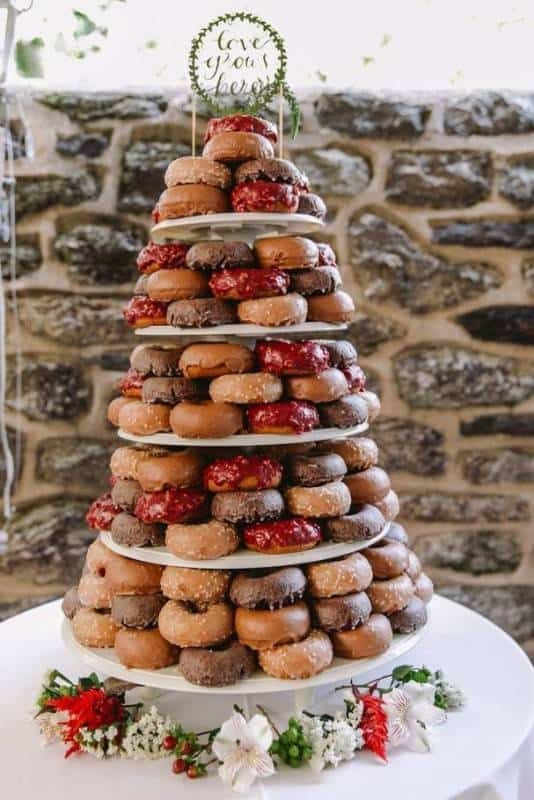 If you’ve dreamed of a wedding cake created from donuts of all kinds – filled and coated and sprinkled – then this is the cake for you. 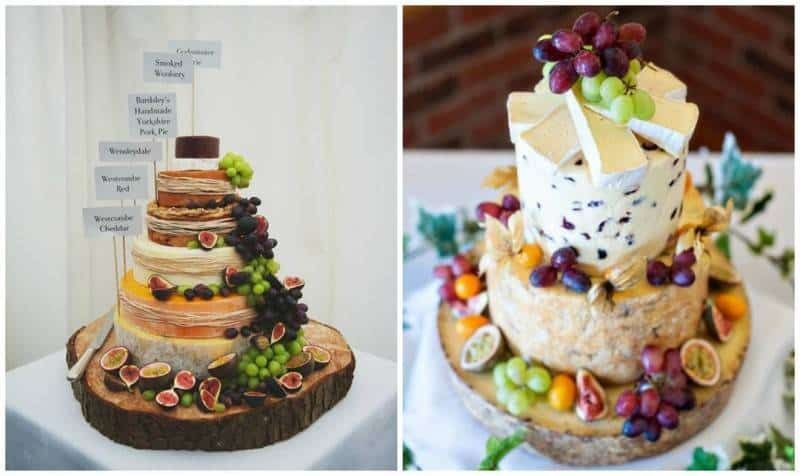 It’s definitely unique and gives guests a little more choice than the traditional wedding cake. Why not create your wedding cake from delicious gourmet cookies? 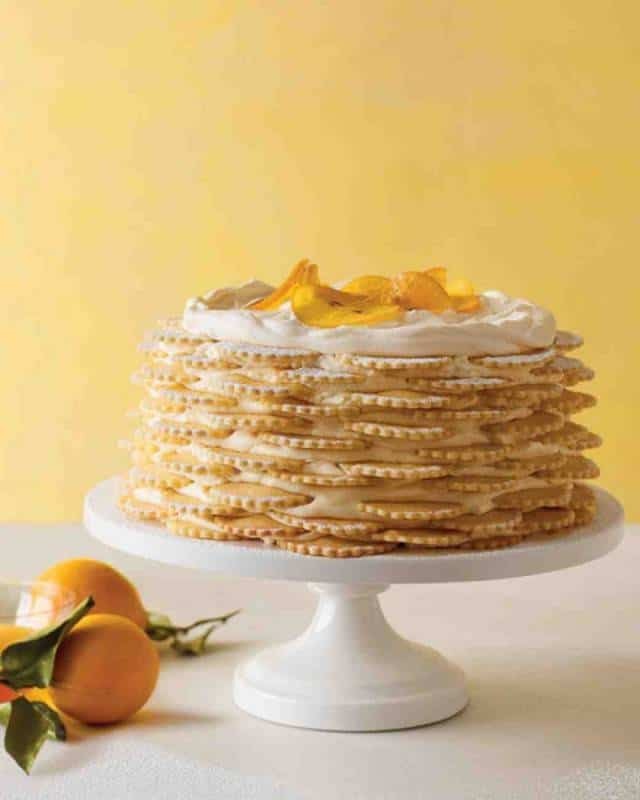 These lemon icebox cookies look absolutely scrumptious and make a beautiful wedding cake as well. 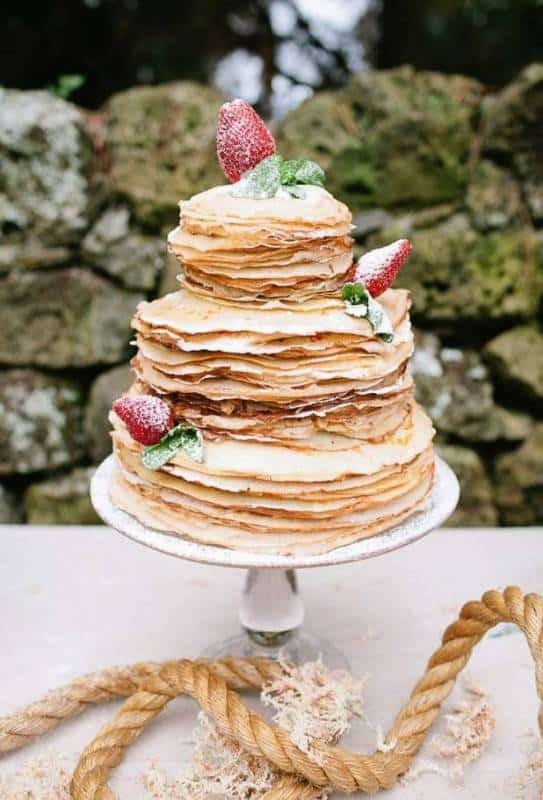 For a wedding brunch reception, a pancake wedding cake is not only delicious but absolutely genius. It’s a wonderful wedding cake alternative and gives guests their dose of sweet and sugary combined with a variety of other delicious breakfast foods. I have a great friend whose husband simply doesn’t like cake, but loves pies of all sorts. 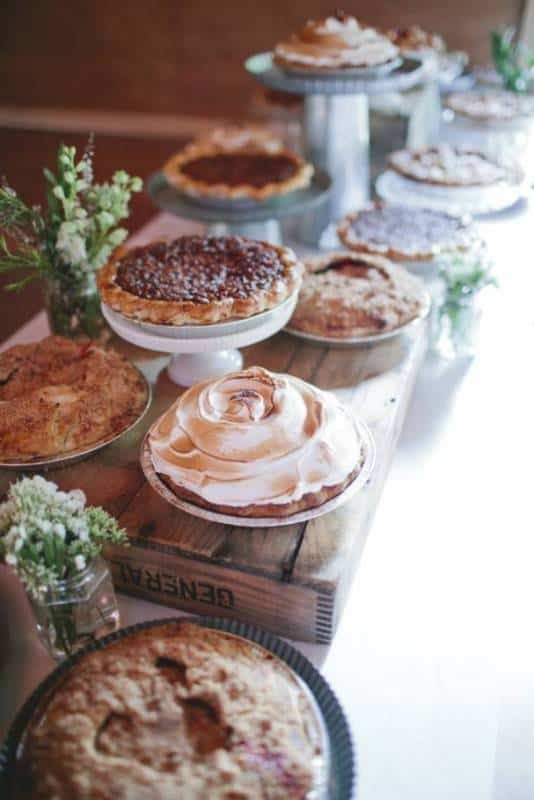 This would be the perfect alternative for them; wedding pies! The great thing about this idea is that it gives guests a variety of options, so there’s sure to be something every guest will love. These are a few of our absolute favorite ideas for “not so wedding cakes!” Do you have a favorite, or have you seen a genius wedding cake alternative? We’d love to hear about it – share it with us in the comments below.